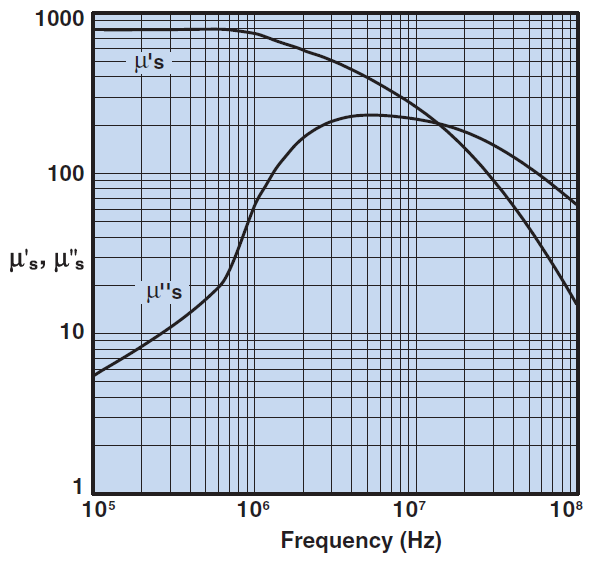 Many of my articles call for finding the complex permeability of a ferrite components from manufacturer’s data. 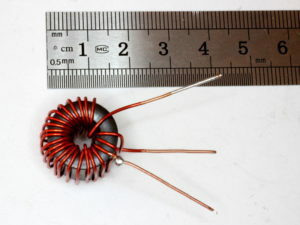 Let’s explore an example used in a recent article, Another small broadband RF transformer using medium µ ferrite core for receiving use – 50:450Ω. The core used was a Fair-rite ferrite core of #43 material, and the magnetising impedance of a 5t winding needed to be found. 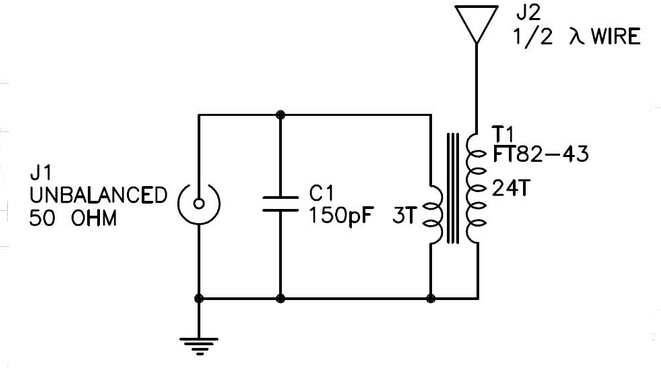 A published design for an EFHW matching device from 80-10m uses the following circuit. 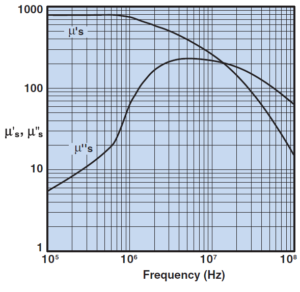 This article is a tutorial in use of Velocity factor solver to find the velocity factor of a sample coaxial transmission line using an antenna analyser. we have two lengths of H&S RG223 terminated in identical BNC connectors at both ends. Let’s connect each in turn to a Youkits FG-01 antenna analyser and find the quarter wave resonance of each (ie the lowest frequency at which measured X passes through zero). 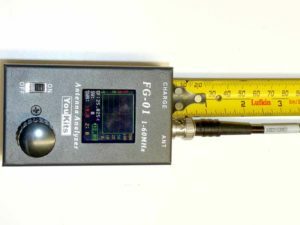 Above, the line sections are connected to the Youkits, and the length overall is measured from the case of the analyser to the of the cable. An upcoming article works through an approach to finding the velocity factor of a sample of coaxial cable using an antenna analyser. As a precursor, this article poses a challenge that will identify the issues relevant to the problem. A Rigexpert has been used to measure the first quarter wave resonance of a length of ‘unknown’ semi air dielectric RG6. 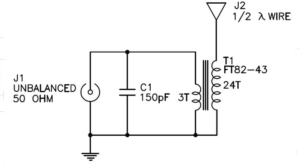 The length of RG6 Dual Shield is terminated in an F connectors at one end, the other end cut cleanly square. 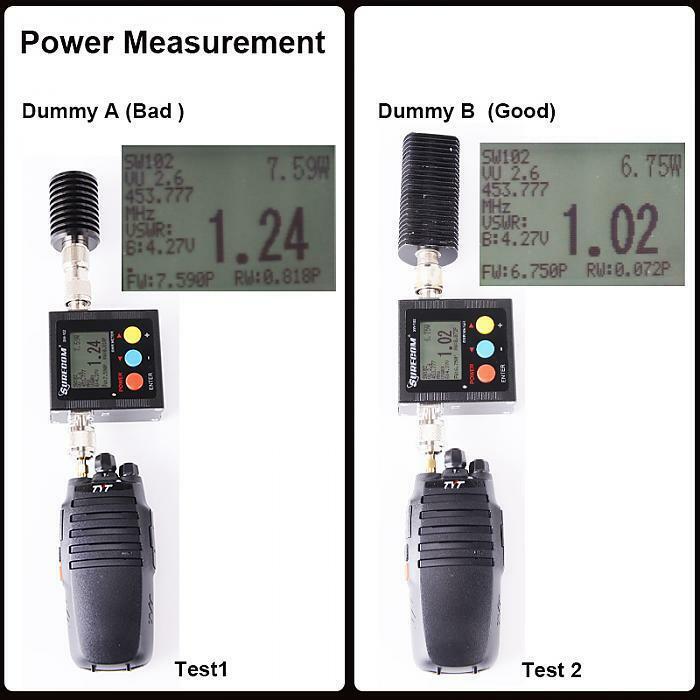 It is connected via N(M)-BNC(F) and BNC(M)-F(F) adapters to a Rigexpert AA-600 antenna analyser and the quarter wave resonance noted (ie the lowest frequency at which measured X passes through zero). 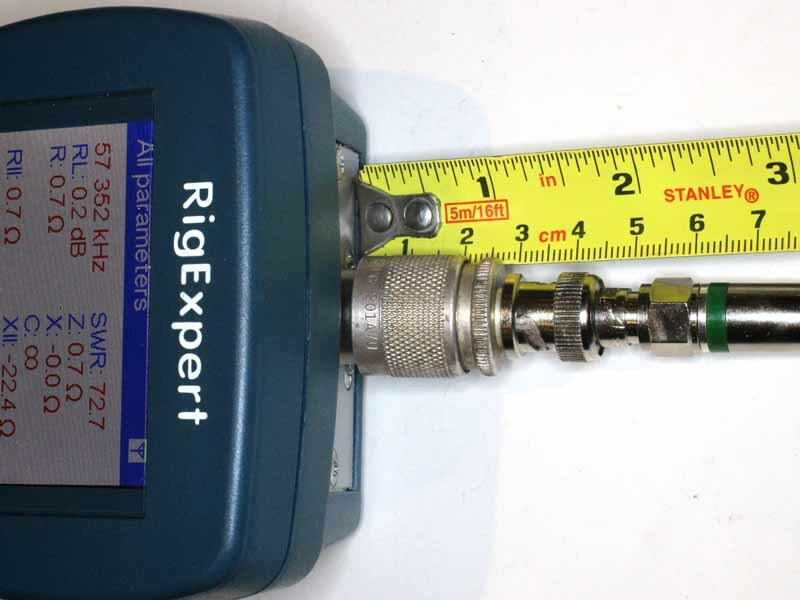 Above, the line section is connected to the Rigexpert via adapters, and the length overall is measured from the case of the AA-600 to the of the cable. The measured length is 1.077m, make any adjustment to that length that you think is justified on the information presented here.